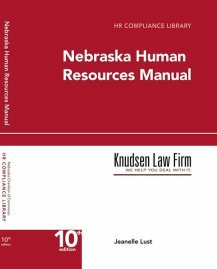 Nebraska Employers should be aware that the 2014 Nebraska Unicameral Business and Labor Committee has advanced LB560 for “Enrollment and Review for Engrossment.” The bill would significantly alter the Nebraska Wage Payment and Collection Act, addressing wage theft, mandating new wage itemization, and authorizing investigations with penalties. If passed suspected wage theft could result in an investigation by the Department of Labor, complete with subpoena power for witnesses and records. Employers would face a civil penalty of $500 for a first offense and up to $5,000 for subsequent offenses. Citations and penalties could be contested within 15 days through the administrative process. Employers would also become obligated to provide non-exempt employees with an itemized statement listing their wages and deductions on each payday. Employers would generally not be required to provide such information for employees exempt from overtime under the Fair Labor Standards Act unless the employer had a practice or policy of paying bonuses or overtime based on hours worked. Failure to do so would lead to an infraction under Neb. Rev. Stat. § 29-436, meaning fines of up to one-hundred dollars for a first offense, three-hundred dollars for a second offense within a two year period, and up to five hundred dollars on a third or subsequent conviction within two years. The significance of the Enrollment and Review of this bill stems from the fact that the bill is prepared for final reading after having been advanced from Select File. The bill was a carryover from 2013, and this year several amendments have been adopted or rejected, and it is generally considered ready for final preparation and a vote. Employers should therefore pay close attention as this bill appears on track to becoming law.